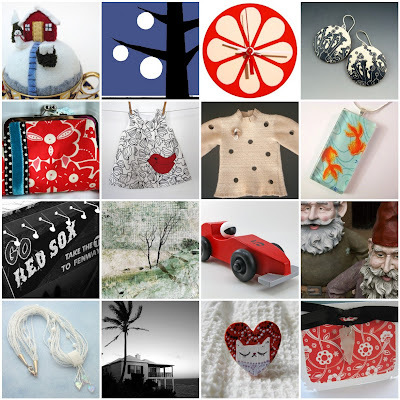 Boston Handmade: Ho Ho Holidays Are Coming! I just spent a VERY HOT day at SOWA. Sitting perfectly still waiting for the slightest breeze, I started to wonder about the holidays and the first snow. Here is a COOL collection of goodies from the Boston Handmade team. Only 126 shopping days left until Christmas! I'm going to start early and actually enjoy the holidays this year.